Enjoy the best inspirational, motivational, positive, funny and famous quotes by Andy Eddy. Use words and picture quotations to push forward and inspire you keep going in life! 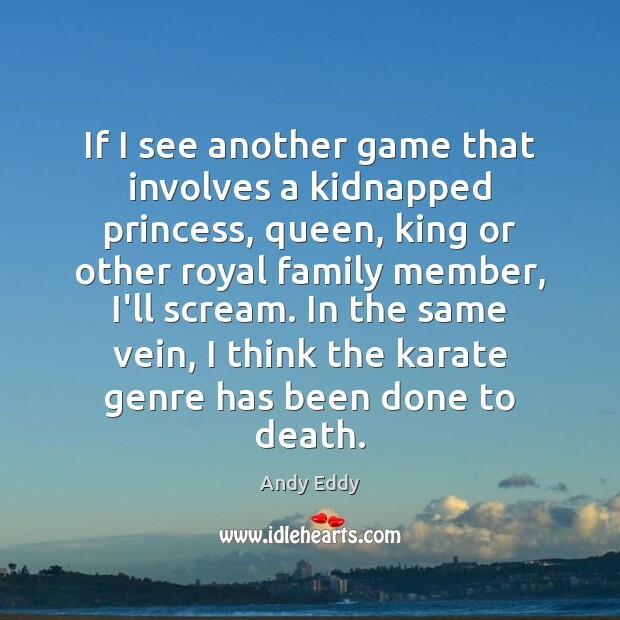 If I see another game that involves a kidnapped princess, queen, king or other royal family member, I'll scream. In the same vein, I think the karate genre has been done to death.